Why not take a cooking class? 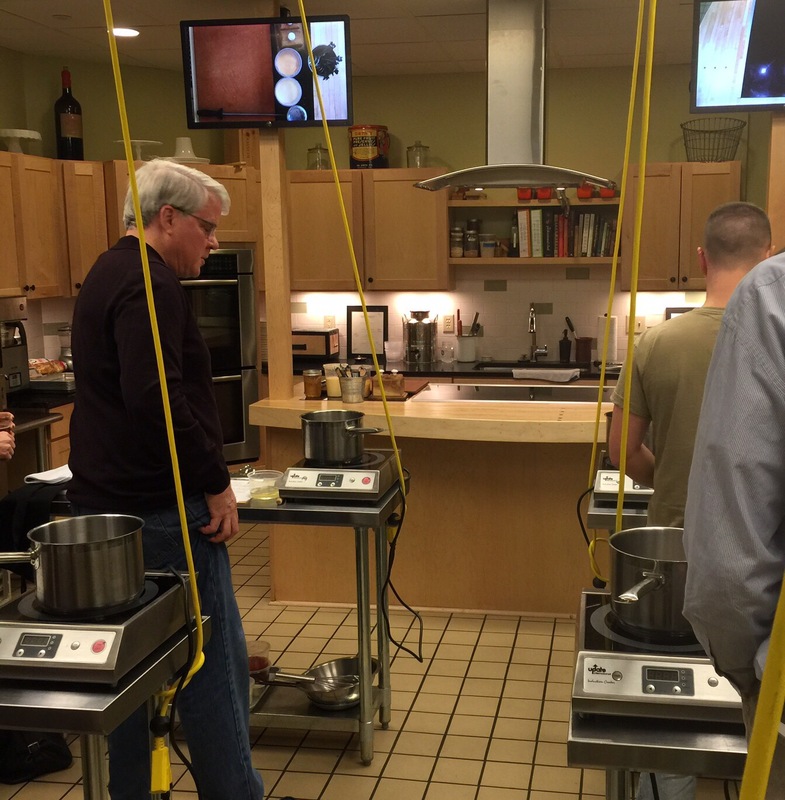 For Christmas I got a nice gift, a cooking class at Braise Culinary School in the Walker’s Point area of Milwaukee. The school is a classroom in the back of the restaurant also called Braise, which is literally next door to the old Allen Bradley factory. My class was Super Bowl Snacks and the price was $65. When I arrived, I was directed to an area of the restaurant reserved for the people in the class. A waitress gave us a large beer sample and an appetizer, which was a crispy potato slice topped with a crushed meatball and red sauce, goat cheese and some pork belly crisps. Based upon that delicious app, I have to check out the restaurant. We were led back to a classroom in the rear of the restaurant with six cooking stations. Everything measured and ready for the first dish. The room was comfortable and designed well. Each cooking station was meant for two people. Our instructor, David Swanson, had quite the resume. He is the owner of Braise and before that was the chef at Sanford in Milwaukee. I have never been to Sanford, but it is considered one of the top fine dining restaurants in Wisconsin. He was very approachable, funny and a good teacher. Questions were encouraged and he had an assistant that came around helping us out. She was great and obviously knew her way around a kitchen as well. We made lamb sausage chocolate chili, corn dogs, and wild mushroom nachos. I learned a lot about cooking and use of ingredients. No problem if you wanted to have a drink or two during the class, it was very laid back. 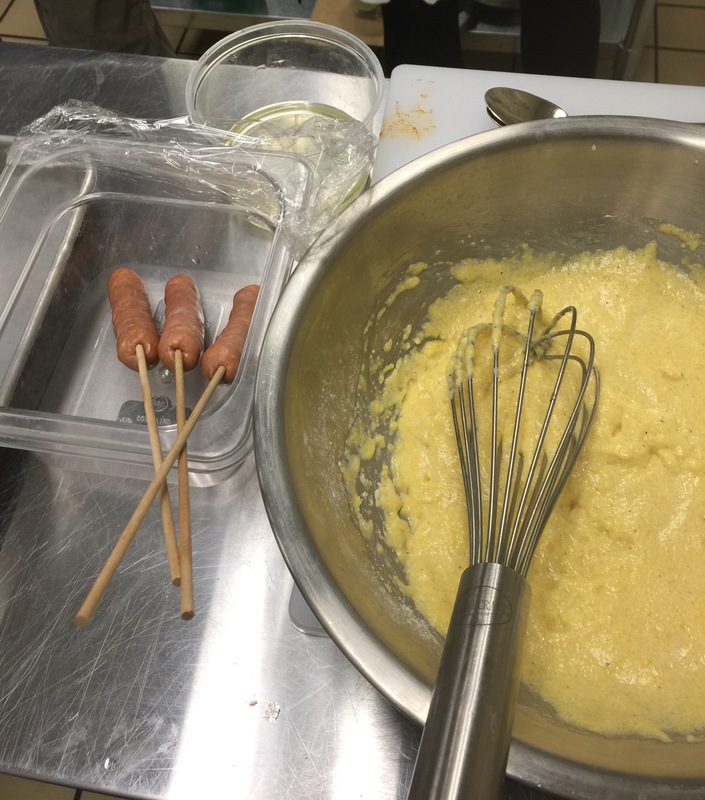 Upcoming classes include Homemade Pasta, Mexican Street Food, and Breakfast Pastries. Whatever is leftover, they give you take-home containers along with a booklet of the recipes. 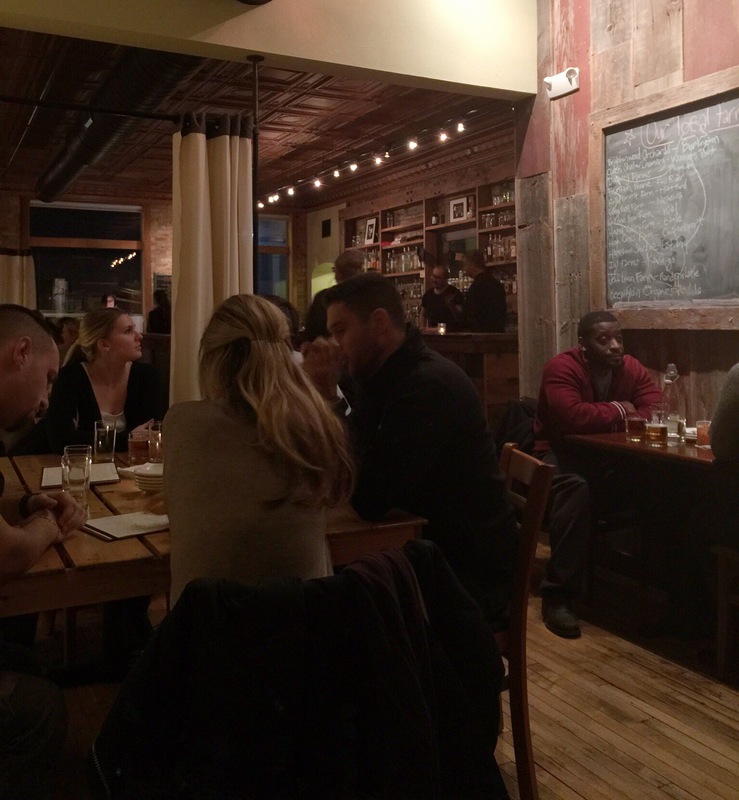 Braise is all about local, non-processed food and their philosophy is on the website. 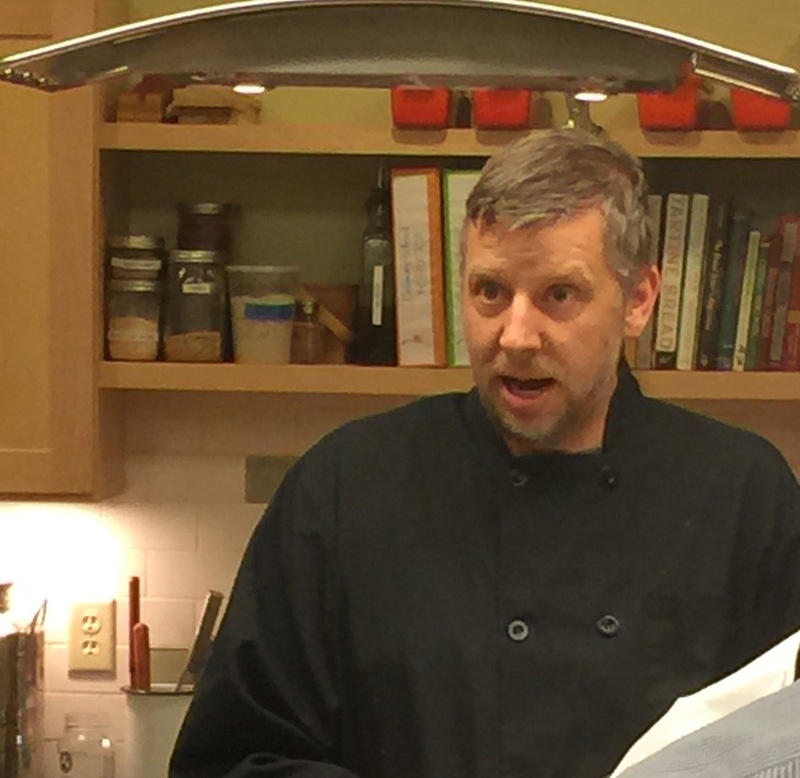 If you like to cook, I highly recommend taking a cooking class at Braise.